VANCOUVER, Oct. 16, 2018 /CNW/ - Next Green Wave Holdings Inc. (CSE : NGW) ("Next Green Wave" or the "Company"), is pleased to announce that it has entered into a letter of intent ("LOI") whereby the Company intends to acquire 100% of Loud Seeds, LLC ("Loud Seeds") along with the Loud Seeds brand and all of its related assets (the "Transaction"). As consideration for the Transaction, Next Green Wave intends to distribute $2,000,000 in common shares of the Company to the shareholders of Loud Seeds. Completion of the Transaction is subject to the satisfaction of a number of conditions, including completion of due diligence by the Company, obtaining all required regulatory approvals. Michael Jennings, CEO and Director of NGW, is a principle in Loud Seeds. The Transaction is therefore a related party transaction and will be subject to the requirements of Multilateral Instrument 61-101 ? Protection of Minority Security Holders in Special Transactions. The Transaction was approved by all the independent directors. Loud Seeds is a multiple cannabis cup winner for its seeds and clones, has flourished as innovators in developing premium quality cannabis products to meet the dynamic consumer demands. The principles over the past 20 years have developed a vast collection of award-winning strains and has been inducted into the High Times Hall of Fame and the Top 40 Seed Banks of all time. James Load (Principle / Founder) of Loud Seeds: "We are excited to bring our extensive portfolio into Next Green Wave, who's vision and innovative nursery and cultivation style will see our Loud Seeds genetic library go to the next level. 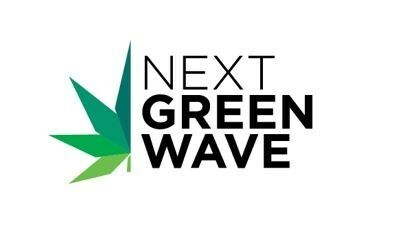 Next Green Wave's cannabis platform is exceptional and their vision to be a dominate force in California and other jurisdictions is exciting for Loud Seeds." Leigh Hughes, Executive Chairman of Next Green Wave: "Being able to bring one of the best seed banks in the world into our nursery continues to differentiate Next Green Wave from other cultivators. "We are excited to join an award-winning genetics portfolio with world-class breeding skills as the construction of our first facility nears completion and begins cultivation." Loud Seeds was founded by Kenneth James Koskiniemi (aka: James Loud) and Michael Jennings (aka: Mike Seeds) who have been growing and breeding premium cannabis for over 20 years with a focus on organic growing. Over that time, Loud Seeds has developed a vast collection of cannabis strains and worked with some of the finest cultivators in the United States and Europe on innovative growing techniques and breeding projects. Loud Seeds has been inducted into the High Times Hall of Fame and listed in the Top 40 Seed Banks of all time. Being covered in the press by The Million Dollar Grow Room, America's Next Pot Kings and the Top Ten Strains of the Year, the Loud Seeds brand is one of the more recognized seed brands in California. Loud Seeds have breeding methods that have been developed for over 20 years and are specialists in creating, launching and marketing new strains based on consumer demand. Loud Seeds has also built a strong distribution list in California along with relationships with many other well-known cultivators and breeding partners. Headquartered in Western Canada, Next Green Wave is a vertically integrated premium medicinal and recreational cannabis company operating in California, one of the world's largest cannabis markets. Led by award-winning cannabis industry veteran Michael Jennings and an industry innovator specializing in premium cannabis products. The Company has plans to build four facilities centrally located on 15.5 acres of land in Coalinga, California allowing for state-wide reach across the lucrative California market. For information on Next Green Wave please visit www.nextgreenwave.com/investors. For copies of news releases and all company materials please refer to SEDAR (www.sedar.com). For all investor relations information, please refer to www.nextgreenwave.com/investors or contact IR@nextgreenwave.com or +1 778-589-5054. This press release contains forward-looking statements within the meaning of applicable securities laws. All statements that are not historical facts, including without limitation, statements regarding future estimates, plans, programs, forecasts, projections, objectives, assumptions, expectations or beliefs of future performance, are "forward-looking statements." Forward-looking statements can be identified by the use of words such as "plans", "expects" or "does not expect", "is expected", "estimates", "intends", "anticipates" or "does not anticipate", or "believes", or variations of such words and phrases or statements that certain actions, events or results "may", "could", "would", "might" or "will" be taken, occur or be achieved. Such forward-looking statements involve known and unknown risks, uncertainties and other factors that may cause actual results, events or developments to be materially different from any future results, events or developments expressed or implied by such forward looking statements. Such risks and uncertainties include, among other things: the Company's dependence on obtaining and maintaining regulatory approvals, such as acquiring and renewing state, local or other licenses and any inability to obtain all necessary governmental approvals licenses and permits to complete construction of its proposed facilities in a timely manner; engaging in activities which currently are illegal under US federal law and the uncertainty of existing protection from U.S. federal or other prosecution; regulatory or political change such as changes in applicable laws and regulations, including U.S. state-law legalization, particularly in California, due to inconsistent public opinion, perception of the medical-use and adult-use marijuana industry, bureaucratic delays or inefficiencies or any other reasons; any other factors or developments which may hinder market growth; the Company's limited operating history and lack of historical profits; reliance on management; the Company's requirements for additional financing, and the effect of capital market conditions and other factors on capital availability; competition, including from more established or better financed competitors; the need to secure and maintain corporate alliances and partnerships, including with customers and suppliers; Next Green Wave's ability to satisfy the conditions to completion of the Transaction set forth above; and other risks detailed from time to time in the filings made by the Company with securities regulations. Readers are encouraged to the review the section titled "Risk Factors" in Next Green Wave's final prospectus dated October 1, 2018. These factors should be considered carefully, and readers are cautioned not to place undue reliance on such forward-looking statements. Although Next Green Wave has attempted to identify important risk factors that could cause actual actions, events or results to differ materially from those described in forward-looking statements, there may be other risk factors that cause actions, events or results to differ from those anticipated, estimated or intended. There can be no assurance that forward-looking statements will prove to be accurate, as actual results and future events could differ materially from those anticipated in forward-looking statements. The Company has no obligation to update any forward-looking statement, even if new information becomes available as a result of future events, new information or for any other reason except as required by law. SOURCE Next Green Wave Holdings Inc.